A play made in Hull and exported worldwide, from Dubai to Bratislava, from Scandinavia to LA. A Play so popular in Prague that it has played in rep there for 12 years! Carol, Adele, Niki and Mel work in a bar that is worse than hell! Welcome to the late 80s, where every town has its Shakers, the oh so trendy cocktail bar where everyone wants to be seen, from the checkout girls to the chinless wonders, from the luvvies to the local lads tittering at the thought of a "long slow comfortable screw". 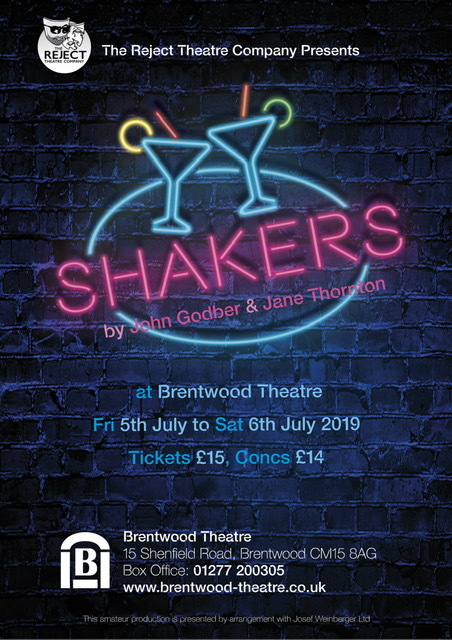 Shakers gives a wickedly funny glimpse of this world as through the eyes of the four long-suffering waitresses, offering a fascinating view of the reality that lurks behind the plastic palms and the pina coladas.